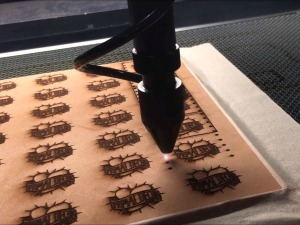 Laser engraving, which is a subset of laser marking, is the practice of using lasers to engrave an object. Laser marking, on the other hand, is a broader category of methods to leave marks on an object, which also includes color change due to chemical/molecular alteration, charring, foaming, melting, ablation, and more. The technique does not involve the use of inks, nor does it involve tool bits which contact the engraving surface and wear out, giving it an advantage over alternative engraving or marking technologies where inks or bit heads have to be replaced regularly. Photo laser engraving is essentially laser engraving but with a lot more detail. 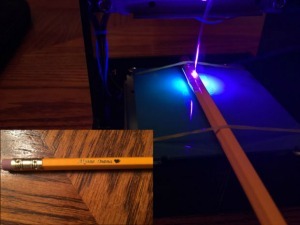 The laser reads the tonal qualities of an image much like a printer. Black areas receive maximum laser power, white areas do not get engraved, the shades between the two get a varying amount of power. You can achieve some stunning results where we can engrave photographic quality up to 1200 DPI on many different materials.